Want Netflix on your TV? How about some 4K HDR TV shows? Unless your TV is a connected, smart-enabled set, you’re going to be left watching Only Fools and Horses re-runs while the rest of the world binges on The Crown and Mindhunter in glorious ultra HD. That is, unless, you pick up one of the excellent smart streamers available to buy. Whether you go for a souped-up smart streaming set top box like the Nvidia Shield, or one of the many affordable dongle-like streaming sticks on the market, TechRadar's Gerald Lynch brings you 10 great reasons why you need to get in on the smart streaming revolution – plus the latest great buys. First things first, what are smart streamers? Smart streaming devices plug into your television and connect to the internet, letting you watch the latest TV and movies from around the world in super-sharp resolution, on demand and at your leisure. Easy to use and simple to set up, they’re one of the best home tech investments you can make for your living room. This one’s a bit of a no-brainer: streaming devices' affordability. You may be looking at a flashy new TV with all of the smart bells and whistles you can shake a remote control at, but even an ageing television (so long as it’s got at least one HDMI port) can quickly be made into a bang-up-to-date connected powerhouse with a smart streaming device. 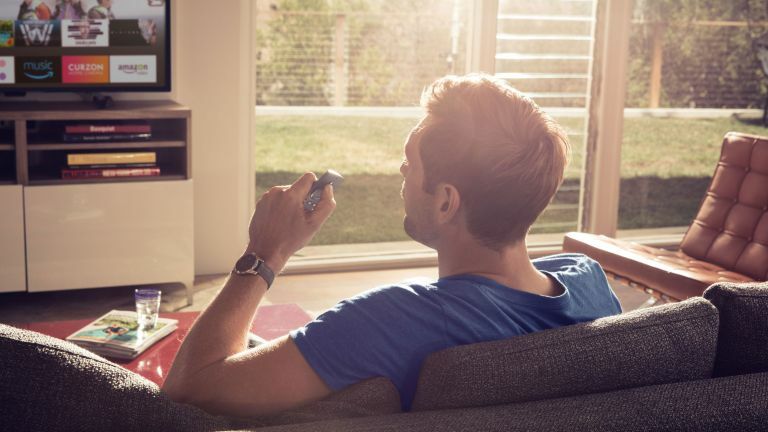 Better still, it need not be expensive – gadgets like a Google Chromecast, an Amazon Fire TV Stick or a Roku Streaming Stick can be picked up for less than £35, and open the doors to streaming services like Netflix, catch up TV like iPlayer and much, much more. They’re portable too, making them perfect for an inevitably-rainy, trailer-bound caravan holiday. Once you’re set up with a smart streaming device, you can link it up with one of the excellent streaming services from the likes of Amazon and Netflix. For a monthly fee, they offer an ever-changing library of content, putting a wealth of TV series and movies just a button press away. What makes them especially tempting these days is the fact that each also offers up TV shows exclusive to their platform to lure you in with. Fancy watching the paranormal, Steven King-inspired Stranger Things, or raucous women-of-wrestling TV show Glow? Then you can only get them with Netflix. The same goes for Amazon Prime Video, which is the only place you can watch shows like The Man in The High Castle, or Top Gear replacement, The Grand Tour. Got a 4K HDR TV, one of the super-sharp modern televisions that pack in more pixels for greater detail, and high dynamic range for a richer, brighter image? You may be struggling to get the most out of it as, outside of a Sky TV or Virgin Media satellite subscription, broadcast ultra-HD content can be a bit thin on the ground. However, with one of the premium smart streamers, like the Nvidia Shield, Amazon Fire TVor a Roku Streaming Stick with 4K Ultra HD, you’ll have access to lots of HDR-enabled, pixel-perfect TV, ideal for showing off all the fancy features of your gogglebox to your mates. Just remember you’ll need a relatively speedy internet connection in order to get the most out of these high-resolution options. If you splash the cash on the pricier smart streaming set-ups on the market, you’ll also be able to enjoy some gaming on the side. The excellent Nvidia Shield, one of the best smart streamers on the market, can play games designed for the Android platform it’s based on, similar to those you’d find in many phones, as well as being able to beam games from your PC and a Netflix-like game streaming service. From Grand Theft Auto to Tomb Raider and some retro arcade classics, it’s a versatile and powerful device. Even Amazon offers up a gamepad that’s compatible with some of its streaming devices. That said, it’s worth noting that if you pick up a PlayStation 4 or an Xbox One, they too offer loads of the same smart features of a dedicated streaming device, as well as access to the best gaming experiences available right now. Definitely worth considering if you’re looking for some thumb-twiddling fun, or a device the whole family can enjoy. Missed last night’s EastEnders? Want to see what’s happening on the Love Island, or just want to settle down with the Antiques Roadshow on a whim? If your TV's not smart-enabled, you’ll be left counting the days until the next airing of your favourite shows. But, with the top broadcasters offering catch-up TV services that let you stream their top shows over the internet at any time, with a smart streamer you’ll be able to watch what you want, exactly when you want it. A night out at the cinema is always fun, but making your way to your local multiplex isn’t always easy. With Blockbusters now a distant memory, the best way to catch up with Hollywood’s finest after they’ve left the silver screen is with a streaming device. Google, Amazon and Apple (through its premium Apple TV box) all have stores from which you can rent or purchase the latest films – sometimes even before they hit cinemas, too. Movie lovers should also check out the Mubi and BFI Player apps, each offering some of cinema’s finest classic, art house and experimental movie making. It’s not all about TV and movies though – with a streaming device, you’ll be able to get your favourite tunes playing out of your TV too, which is particularly good if you’ve got your telly paired up with a swish soundbar. Services like Spotify and Deezer, as well as countless internet radio providers, are all available through smart streaming devices, letting you browse the world’s music from the comfort of your sofa. From documentaries to cooking shows, fail videos to Madonna compilations, YouTube has it all. You can even upload the clips you make yourself to share with your buddies or the world at large over the internet. But keeping them all constrained to your laptop or phone screen seems a bit of a shame when you’ve got a giant TV in your living room. With a smart streaming device, you can have the millions of videos available through YouTube beamed straight to the biggest screen in your home. Just be nice in the comments section, OK? Over the years, you’ve probably built up a library of TV shows and movies that you’ve downloaded from other providers or movie services. They may be collecting digital dust on a hard drive, unless you fancy sitting in front of your computer screen all night to watch them. However, smart streaming apps like Plex or Kodi can connect up to your PC, wirelessly bringing all your old downloads to your living room. Smart assistants, like Amazon’s Alexa, the Google Assistant, or Apple’s Siri, are all the rage right now, letting you get the answers to questions, play music, set timers and more with just the power of your voice. But did you know they can be used to control your TV, too? Depending on the smart streaming device you pick up, you can use Alexa, Google Assistant or Siri to search for shows on your TV, start and pause playback, control the volume and much more. If your house if full of smart gadgets, you can also hook them up to a smart streamer, letting your TV control everything from your lights to your thermostat. The possibilities are growing all the time.